THROUGH THE GLASS - comments about life as seen through my filters - or the dirty van windscreen. All I ever wanted to do when I grew up was live in a hedge. Seriously, all I ever wanted was to live in a hedge. It seemed so simple to a seven year old – thick hedges are warm and dry and comfortable. I dreamed of living in nature, watching the seasons change, finding my own food and sharing with the squirrels. The practicalities of life would sort themselves out, the way they do when one is so young – or when one lives their dreams. Every day would have rainbows and sunshine. Every day would be different – a good kind of different. Watching the birds, insects and animals, seeing the weather change from calm serenity to tempestuous storm, looking through my leafy ceiling at the stars – seeing the pinpricks of light gradually appearing at night and dimming with the rise of the sun. Making stories from clouds – watching the characters evolve as they roll across the sky, in and out of my life. Never needing a clock…imagine! Now that I have grown up I have revised my dreams – the sunshine and rainbows are misted over with the drab grey of reality. You know the colour; that life-sucking, heart wrenching, miserable grey which reminds one of bills to pay and social acceptabilities. Sometimes when I look at the sky, I just see clouds. Grey clouds. I still want to live the dream – in a hedge. But now I want wifi. But why? WHY FI ? I love that I can find out what I want to know within seconds. I love being able to explore the world whilst sitting with a mug of hot chocolate. I also love that I can write and publish this easily. BUT BUT BUT…COMPUTER TECHNOLOGY…TECHNO-JARGON…I do not love the teeth grinding, angry, frustrated feeling I get when I just don’t understand what the hell the screen is trying to tell me – I am writing a blog, not running the country – that is IaWaB NRtC ! I swear that the initialisations are done just to confuse us ordinary folks! SEO, HTML, https, WTF??? Tech-speak and jargon should be classed as hate speech – punishable by flogging. Slow computers, areas without signal, running out of data, incomprehensible initialisations, … I want to be able to shrug off such minor issues and get back to being seven again. I want to extinguish the need for the instant gratification of immediate knowledge. I want to get out and smell the roses. I want to get back in touch with the wonder and joy of being seven and take it forward with me. I want to get out of the trance, dodge the rat race – I don’t want to be brainwashed any more. I want to wake up and watch the world turning. I want to live in a hedge. With a fairly fast broadband connection – just for when I need it, you know? If any of this squit resonates with you and you want to be seven again…or at least calm amidst the rat race, see how to de-stress and chill…Zen breathing. Having spent time sitting contemplating the sheer magnificence of mountains, I was left wondering what it is about them that calls mankind towards them in worship. Why do we feel the need to draw and paint them, to write poetry and songs proclaiming their magnificence. Why do we struggle up the ascents simply to slide down again? These geological accidents, caused by chaos and upheaval, inspire more than misty-eyed art; they evoke deep thoughts of inner and outer strength, of perseverance and permanence, of life – and death. They call to us and we come, spellbound, to their feet – often with the greedy intention of conquering the stoney slopes to sit at the crown, just beneath the sky. As if any man could ever conquer such a creation! We stand atop, having dragged our puny, time-limited bodies towards the stars across terrain we were not meant to step upon, and call to the world that we are conquerors. He who has climbed above others rules the world, he shouts. But does the mighty hill bow down to its master? Does it submit, subjugated to our command? It does not. It never will. Mountains are the guide to many meditations in our quest for peace and enlightenment – we raise our vibrations to the heights, we slow our thoughts to resonate with the solid, cold rocks, we diminish the ego in the face of these massive natural creations. We see the peaks reach up towards the heat of the sun with worn fingers and imagine that we can do likewise. We allow our insignificant concerns to billow away on clouds which cover and reveal the summits according to the whims of the breeze. We wonder at what it has witnessed, the changes it has seen. Does the master meditator need to ascend the mountain to absorb its deep wisdom? Ask the mountain…it will consider for many lifetimes and reply still in silence: it cares not! And that answer teaches us what we desire to learn. The mountain has long since been there, it is only there and will be nowhere else. Risen by violence, it is the peace that remained. It does not have to struggle and strive. It has no questions. It has achieved what we seek; the mountain just is. 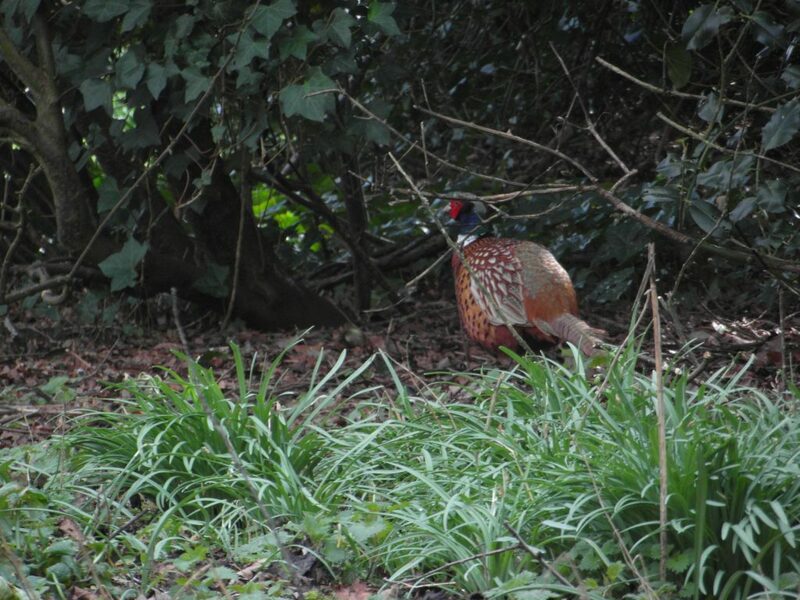 Hidden in the comfort of our metal gypsy wagon, I watch a pair of pheasants pick their way around the sympathetically camouflaged green painted toilets towards me. Stunningly marked, such creatures are better enjoyed thus – still wearing their feathers. It saddens me that this brace, these comrades without arms, are seen as sporting targets by those who seem to have lost touch with the idea of a level playing field. It saddens me to have to accept the guilt-edged suspicion that my enjoyment of wooded copses, stands of peace amongst industrialised fields, relies on the ritual sacrifice of these beautiful birds. Stand and stare at them one day – really look – the intricacy of their markings belies belief. Such beauty! And mankind in our civilised way simply sees a plaything – something which cannot hit back. In penning the description “comrades without arms”, I had watched the pair walking and pecking gracefully with the odd flutter of feather as the breeze momentarily disturbed their balance and I wondered ” how do they manage without arms and hands”. It hit me with a smile of embarrassment that the birds, seeing humans, would wonder what we had done to offend God so greatly that He had taken away our wings. Maybe God is not a “sportsman” either…He keeps the playing field level. We had often talked of wild camping. To motorhome owners this is a foray into the savage, untamed wilds of lay-bys or car parks – without electric hookup! It is ridiculed by the macho backpackers who venture into the real wilderness….but hey ho, we can feel as though we are being brave in our metal tent if we are not safely tucked up in a certified, registered site. Yes, we have torches and blankets, gas fuelled cooking and heating, and a toilet….but it is still wild camping because we are not in a snug, numbered bay with a plug in supply of electric! Ignoring the perils, we turned to the lawless, wild side in Norfolk when we snuck into a little car park along the coast road after dark and parked up. It was quiet …the only wild aspect was the stormy weather…but we felt like naughty school kids and were perversely quite pleased when some early morning twitcher dobbed us in to the warden the next day. He politely reminded us that overnight parking was not encouraged – then chatted about his job and the local wildlife. He told us that their main objection was that motorhome owners had emptied their onboard chemical toilets into the grounds and watercourses of the nature reserve. We were slightly ashamed to be considered part of that group and assured him that we would not have even considered such a thing. Disgusting on several levels. 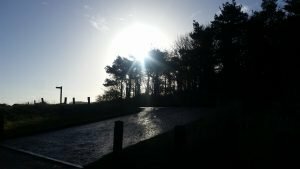 But – wild camping – we don’t think it is for us. We spent much of the day seeking a suitable place to park up and wasted what would have been tourist or walking and exploring time in the locality. We also wasted a lot of diesel and it would probably have been cheaper to have booked a pitch somewhere instead of stealing a piece of a free car park for a few hours. Crime actually doesn’t pay. It amused us though. Even travelling without a site booked in advance is fraught with little irritations – we have Google and club handbooks but no-one answers their damn phones so again, we waste time, roaming data and fuel seeking out a place to stop. The main issue we had with becoming outlaws was using our toilet for…well…you know. It has been the final frontier for us…the step too far. Turning the little radio up as loud as we could, amid much encouragement and mirth, we were brave soldiers. Thus another taboo was broken. We were outlaws of the meanest, baddest kind …the sort who use their onboard loo for number two!! As “Conscious Folk” we have considered our impact on this planet. This is not a “is global warming man-made” discussion….where I sit right now mammoths roamed in a tropical jungle and an ice age formed the landscape. This is just a tiny piece about how after all that, people are messing it up. On our travels, as I look through the glass of the van windscreen, I have become aware of the piles of discarded waste – be they in land fill sites, lay-bys or pieces of thrown litter with colours rivalling the hedgerow flowers. We see oily films casting rainbows over water courses and bags waving gaily from tree branches. Fridges and cookers stand in beautiful outdoor kitchens – miles from the nearest plug. Even if one has the weird sense of humour to see pretties, this is not doing the environment any good. Ok, it is difficult to preach whilst driving around in a 3 ton, dirty-diesel guzzling VW CREE, but it isn’t going to stop me. Our excuse is that the vehicle already existed and the footprint of scrapping it may be bigger than the miles we cover. And we can’t afford a new one. To make up to Mother Nature for the diesel, we are trying to think how we can be more conscious of our impact and reduce it. Packaging is a good thing to rant about – the amount of plastic we use as a species is frightening, much of which is not recycled or even recyclable. Putting something in the recycle bin is not a guarantee of it not causing further damage. It isn’t even a guarantee of it being recycled apparently. There are shampoo and conditioner bars which save the use of a bottle. Better NO bottle than a bottle to recycle. Is there a bar for washing up? It would be a good idea. Fruit and vegetables are often cheaper when packaged. Is this to allow the supermarkets to control the amount we buy maybe? Or because if buying loose fruit and veg, we reject the less than perfect ones? Or maybe because people with a “cause” will pay more. Beyond packaging, what about the phenomenon of the upgrade … how many cars and electrical items are sold daily when the old ones still perform well? Where do the discarded items end up? We are all encouraged to keep up with the latest fashion as this keeps the money rolling in. I could go on, and often do, but this is well researched and publicised territory….we all KNOW but do we act? What conscious efforts can we make? I am a bit of a Womble in that I find a use for bits I pick up. I am not much like a Womble in looks – apart from the lack of height and an odd taste in hats perhaps. I try to reuse containers – sometimes going a tad too far I am told. But tubs with lids are SO handy! I donate clothing, books etc. to charity shops and have been known use end-of-life clothing as dusters and floor cloths. Broken things often have a secondary use somehow. It is too easy to bin things rather than reuse or upcycle. I wish I had the time to make rag rugs, patchwork quilts and to grow our own food. But we are thinking consciously. We are trying to use less electricity, eat locally produced food, and generally be mindful of what we are doing. This rant is not to advise – I don’t have the expertise – it is more to ask for ideas. And if it makes one person think and react in one tiny way, then job done. Our world can be changed for the better by one tiny action after another. Be part of the change. NOW is no good to a story-teller or a poet…. How do you grow an imagined rhyme when all there is is present time? For heroes are not of NOW…how can NOW teach us? How would it reach us? For as soon as it happened NOW has passed …. NOW holds no such mystery! There is nothing else -so how can there be other? No stories, no dreaming …NOW has no deeper meaning. And NOW has finished …forever…. 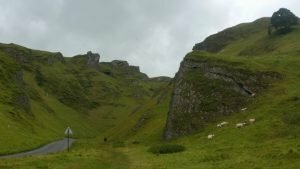 Winnats Pass Derbyshire…the nice lady from Rowter Farm had said something about Winnats Pass and Sparrowfoot…. “Yeah yeah” we said, too excited about our break in Derbyshire to actually listen. It was something about there being one way to the camp site that we were not to attempt in a motorhome. Particularly OUR old motorhome….it didn’t take us long to realise that we were on our way up that very road with no chance of turning back. Unless we didn’t make it up – and in that case the way down would not be pleasant. 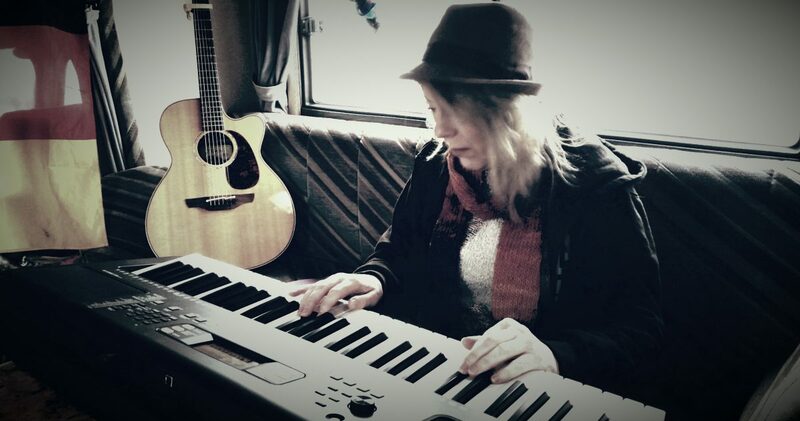 That was almost the case….this poor old CREE almost breathed her last on that stairway to van-heaven. She doesn’t like hills in Suffolk let alone anything like this… 20% and counting! Labouring in first gear, wheels slipping on the Derbyshire rained on road, another fifty feet would have been forty nine too many. Not often the passenger stops talking but …..!! Said passenger also tried to refuse to go down that treacherous Pass on the way home – but got ignored. The brakes got warm. It was o.k. 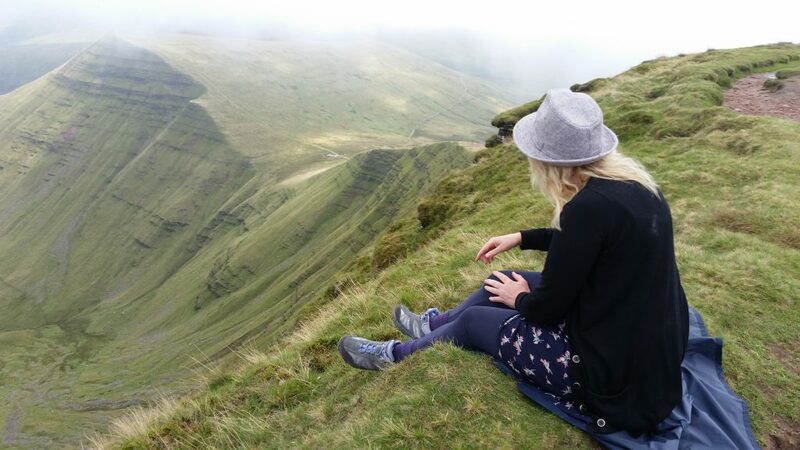 actually – the view is amazing – certainly takes your mind off the risk of impending death. There used to be an alternative route – something more user-friendly. A mountainside road with a softer incline. And it collapsed many years ago. The road just cracked and slid down the mountain. That road was built along the side of a mountain whose sides slip and slide. Eventually the authorities gave up repairing it. Mam Tor has sides of shale and is known as the shivering or shimmering mountain due to the frequent land slides. 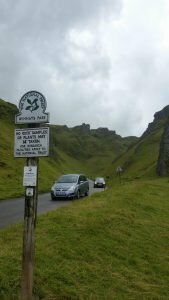 Going up or down Winnats Pass in this vehicle also produces a sh** sensation. We walked it and that was gruelling enough although worth every pained step. We then travelled along Snake Pass. Stunning scenery – the heather blanketing the peaks as they dipped their foothills into the reservoir. A glance in the side mirrors confirmed why it is called Snake Pass – our beast proudly headed a long snake of traffic. We often have a bit of a following….we could refer to them as fans maybe. Or maybe we could not. We are keen on designing a bumper sticker with the van’s amply proportioned bum on it and the encouraging logo YOU COULD ALSO BE FOLLOWING US ON FACEBOOK. ….it will give a smile or add to their irritation. But at least they can voice their love of camper-vans to us on FACEBOOK. What better way to make friends and connect ? Author TRUDIvivianPosted on September 20, 2018 September 20, 2018 Leave a comment on Sliding tyres, roads…and snakes. Choosing a camper-van/motorhome is like choosing a family dog…so much depends on your lifestyle or personality. And definitely on the depth of your purse. Maybe you want a big butch beast of a van- one that scares the hell out of minis on the motorway. One that you can’t park within city walls due to its size but you love showing it off in a macho way. If you have the money to feed it then good on ya! Maybe you like nippy terriers…small and fast. Or pretty poodles – cute and fussy and prone to large vet bills. Or a Labrador? Family-friendly, comfortably-reliable but a little predictable. Well…we chose a van which is big and cumbersome, with a low-slung solid body. A van with a few unexpected little habits and quirks. Not pretty to look at and never fast – but once you know it, you can’t help but love it albeit mostly in a “oh heavens, what now?” sort of way. Oh…and it smells sometimes if you leave the plug out of the sink whilst travelling. 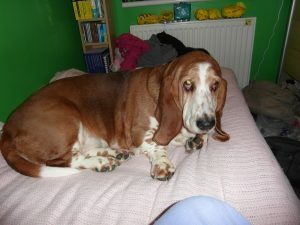 A Basset Hound of a van! Actually, we have sometimes wondered if the van chose us. We looked at others but couldn’t take to them – they were cheaper, younger, cuter but not quite right. We read advice about buying, we learned what traits to look for, which makes to consider and what to avoid. And every time we turned round, this beast was there, kind of sulking. Like a stray dog, it just wouldn’t go away. Some of its poorer aspects were things we were advised against accepting: water ingress, damp, rot – these are the swear words of campsites. These are the expensive faults which you never, ever take on. But still it hung on in there, getting itself under our feet until we gave a resigned sigh and dived into the adventure – the three of us…Gav, me and a great big Cree. 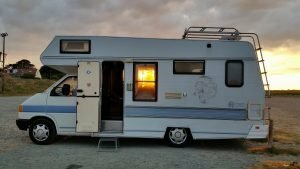 Most of the original issues are sorted so to ensure the fun never ends, she chucks us a curved ball every so often – we have come to regard trips to the garage or caravan repairer as part of the adventure. Just as well really. This was written in an ECO campsite. What makes a camp site into an ECO campsite ? 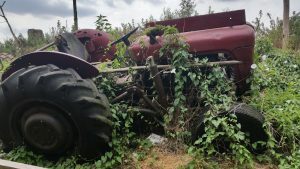 Maybe not allowing dirty diesels in would be a start….we half expected to be met by placard waving save-the-earth types as we chugged our way along the backwoods, dirt track lane. No, we were met by a delightful chuck wagon which serves as RECEPTION. As a receptionist, we have encountered worse – cute enough to be allowed a degree of scruffiness and easy-to-understand enough to be acceptable as low tech (except for a surveillance camera!) . Certainly more polite than most doctor’s receptionists!! All the necessary instructions were there – we felt welcomed in a remote, trusted sort of way. Like grown ups. We then found our allotted spot which was basically “where you like in your field”. All laid back – like a different world. We had a wander, found the toilets and water point and spoke to a guy on a bicycle – turns out he is the owner. What a brilliant place – full of reclaimed stuff which other sites would have binned or burned. We love reusing stuff – although one of us is over enthusiastic in her “might come in handy” collection she is told! 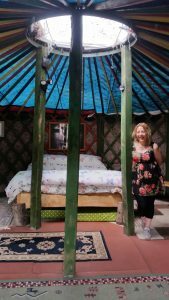 Wandering around the site, we found two Yurts set up for visitors that evening and had a sneaky look in – they are every little girl’s dream of a fairy palace. Well….how THIS little girl would have pictured it anyway. Kinda natural with comfy bits and a slight hint of sparkle – if the little lights work. Not the sort of site to come to if you want shiny floors and precision planting …this has nettles because they are a “complete ecosystem” for some creatures, no bingo or snazzy bars. 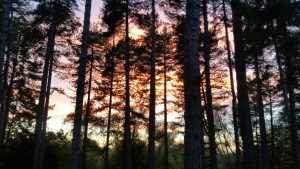 We saw a heron alighting from a pond, we heard a woodpecker, we saw dragonflies, we watched bats beginning their evening frenzied feeding, and listened to the mournful twilight hoots of a tawny owl from his perch in the crack willows. It was almost an Eco-crime to have asked for electric hookup. But we did. And we were under the flight path of both Mildenhall and Lakenheath bases- we saw the huge cargo planes heading for the former and heard the smaller beasts buzzing to the latter. Not “ECO” but exciting! At a different campsite, Gav bought a pile of dirty books. No, seriously, grubby. Historical novels and reference books which needed a wipe. This site was quiet…eerily so as there were ten other units in the field. The facilities and pitches were spotless – one got the impression that the plants had a measured distance between them and any with an odd number of flowers were promptly corrected. The pedantic grammar police were delighted to see real filth however: TOILET’S and SHOWER’S as well as a misspelling of their own name – ewwwwwwww! But that is our particular soap box to stand on – we do so with glee (and a wary eye on our own scribblings!). The site was beautifully run, organised and the welcome was comfortingly and efficiently warm like a new blanket which smells of shop rather than home. All types of site have their place in society. We are accepting of most – every site has a reviewer’s vision of lofty summit and death’s dark vale – it depends on what one is seeking and on one’s emotional eyesight as to what one notices the most each time.